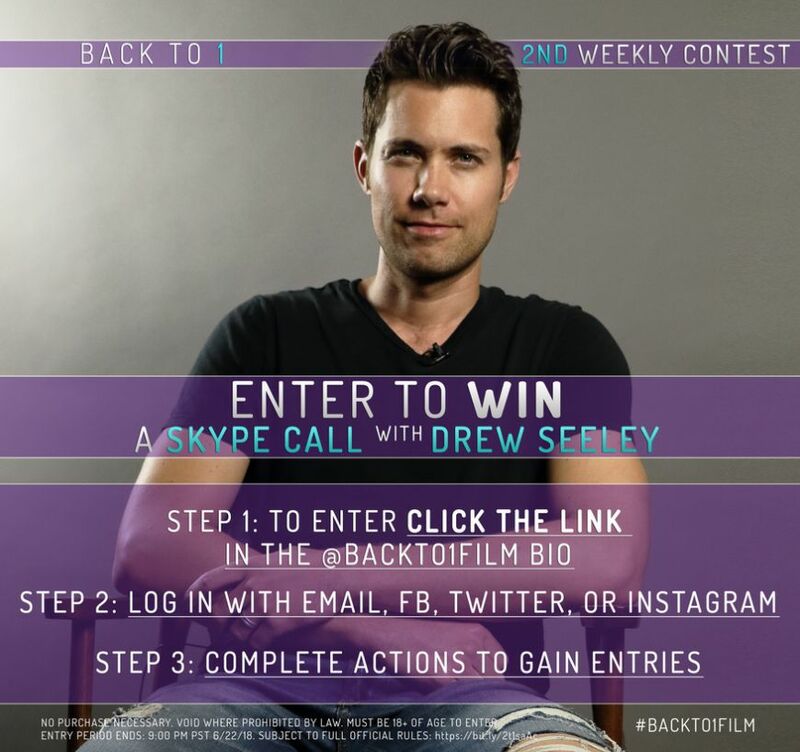 Another Cinderella Story star Drew Seeley has launched a new contest for three fans to win the chance to Skype with him in support of his new movie Back To 1. LOS ANGELES - June 17, 2018 - PRLog -- Canadian actor, singer/songwriter, Drew Seeley took to social media (via Twitter and Instagram) offering three fans the opportunity to Skype with the actor. The contest has been created to promote Seeley's new movie Back To 1 currently raising funds on Indiegogo. If fans complete all the actions they will unlock fourteen more entries. Back To 1 is a new movie being created by former cast & crew members of Disney's High School Musical Franchise, Fox's Hit Musical Series Glee, Broadway and more. Seeley is attached to play the male lead role of Jack in Back To 1 starring opposite Glee's Heather Morris. Seeley is best known for playing the role Joey Parker opposite Selena Gomez in Another Cinderella Story.